9:15 AM brought the 93 Engine together with the first alarm companies to 902 Moosic Road for the Working Garage Fire. Upon arrival of Chief 98 the SRN was Requested with smoke showing. Engine 93 went enroute with a crew of 6. 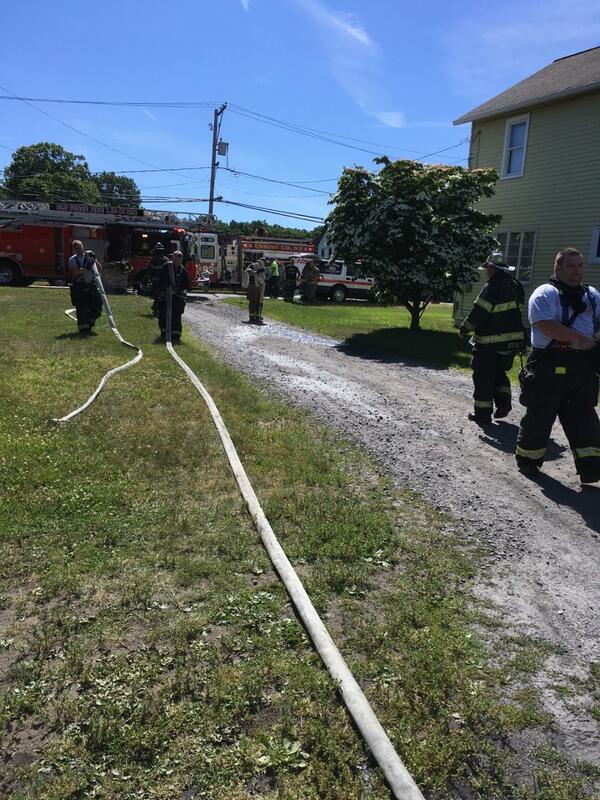 Upon arrival 200' of 5" hose was laid and a 200' setback line was initially pulled, followed by a 150' preconnect backup line. 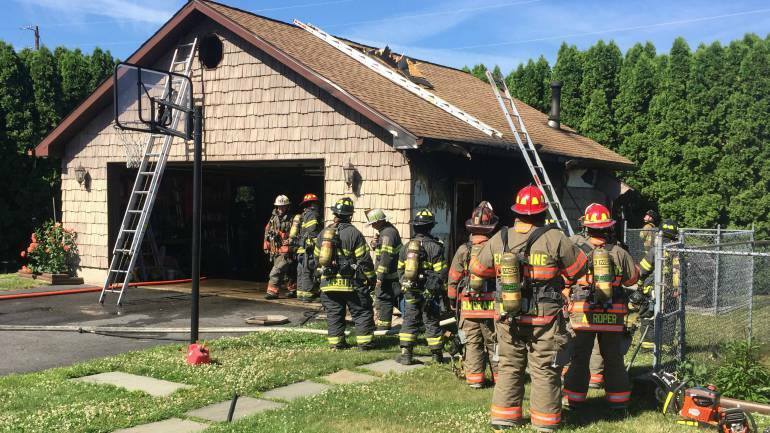 A quick knockdown was made on all running fire in the attic space of the garage while Truck Co. 93 and Duryea Ladder opened up the exterior wall and completed vertical ventilation. Engine 93 wet down a few hot spots before packing up and being back in service in under an hour.